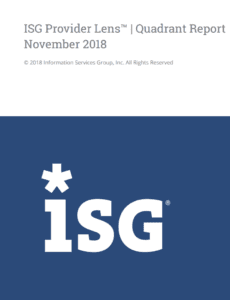 Minimize the recovery time of your IT services through an integrated, expandable, and automated ITIL certified Service Desk. IT administrators enjoy noticeably lower workloads, while you enjoy reduced costs and higher user satisfaction. The Self-Service Portal enables easy, mobile access to services, approvals, software, apps, and much more – day and night. Services are provided in an automated way through many out-of-the-box connectors. Of course, it is also very easy to integrate systems that are not known to us – simply drag & drop them into the Workflow Studio. An end user returns from a vacation and finds that she has forgotten the password for an important business application. She can order the “Reset password” service with just a few clicks via the self-service portal included in the Matrix42 Service Catalog. 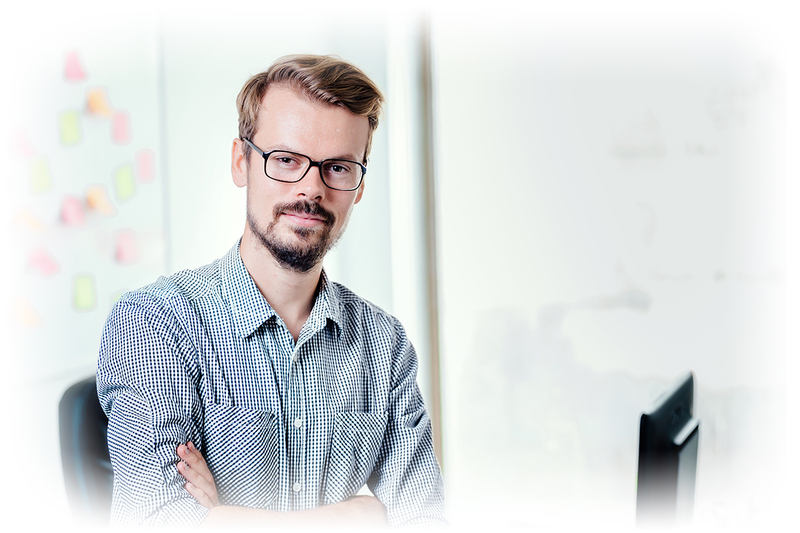 The end user can very easily carry out the authorization process without speaking to the IT department, using the security prompts defined by you personally. For example, data such as the employee number or previously defined security prompts can be used for the authorization process. The days of acting like a firefighter are over. 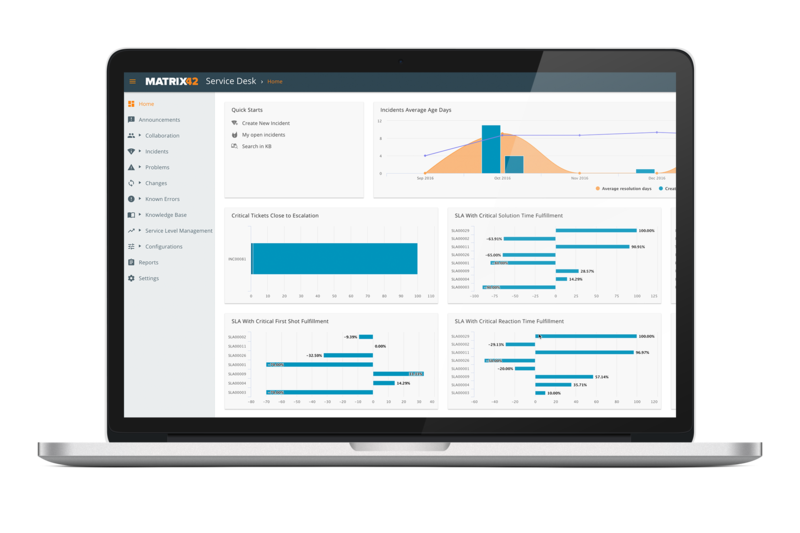 Matrix42 Service Desk is a Web portal that allows you to provide users and service technicians with simplified, automated IT support processes. 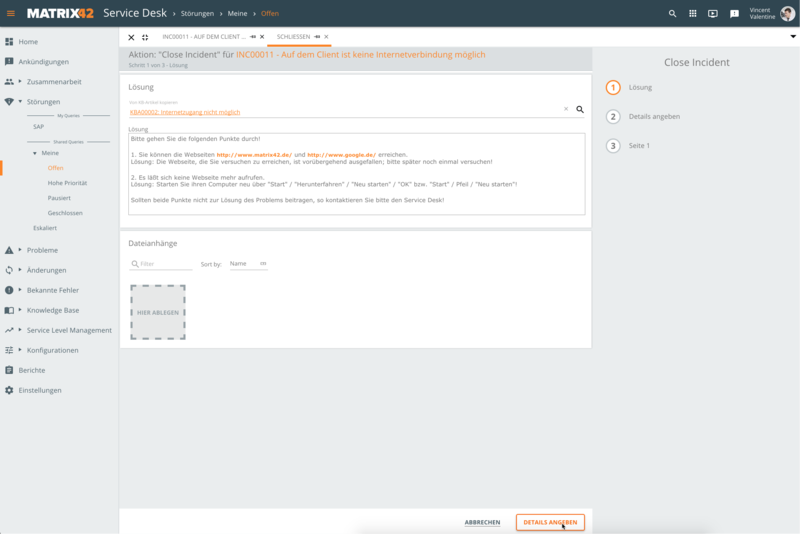 The system accelerates problem resolution, automates time-consuming manual support tasks, improves the service delivered to end users, and saves you up to 20 percent on your support costs. Integrated reporting and dashboarding lets you always, immediately see where your organization stands and where there’s room for improvement. The standard technologies used are based on Microsoft SQL Server Reporting Services and the Matrix42 Responsive Dashboards. 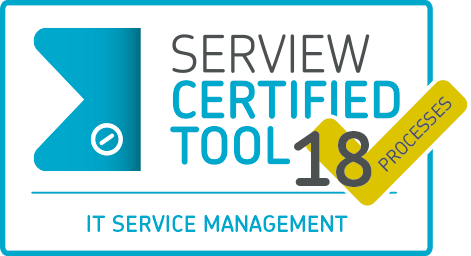 Service Level Management informs you if incidents, problems, or changes are running the risk of dropping the agreed service levels, ensuring that you always remain in control of things. Of course, the response and resolution times are calculated depending on the individual service time profiles of the employees in your company. Remote management and support tools are just as important to resolving incidents and problems as integration into your (Azure) Active Directory, your software distribution, or your enterprise mobility management. 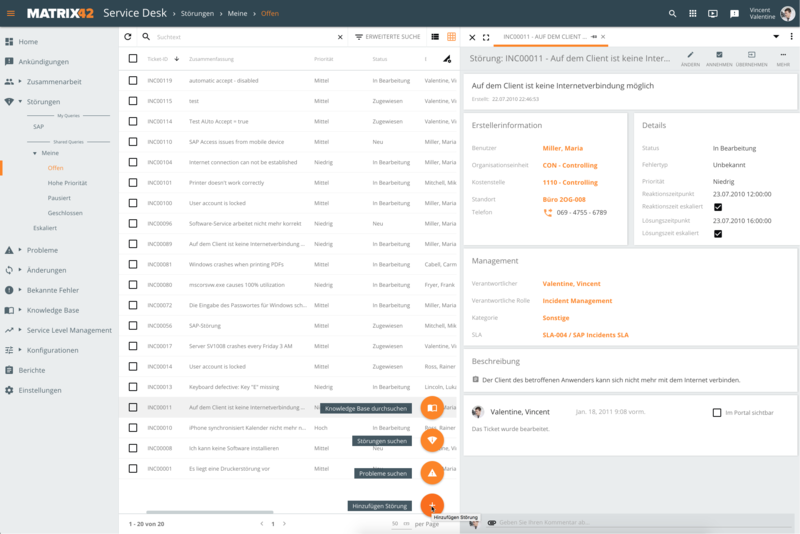 Powerful one-click connectors to a large number of products, such as Microsoft SCCM, VMware AirWatch, and Matrix42 Empirum, Silverback, and Unified Endpoint Management, are components of all Matrix42 Service Management products. 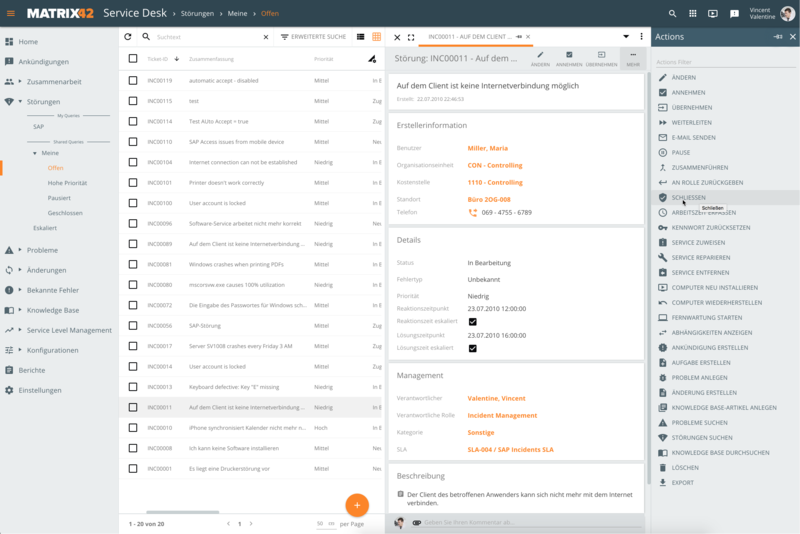 Automate business processes very easily via drag-and-drop. “We only had six weeks to implement the Matrix42 service desk solution – at all of the NTT Com Security subsidiaries worldwide.